Australian Brett Metcalfe ended Justin Brayton’s three-race win streak in the Australian Supercross Championship at the fourth round at Port Adelaide. 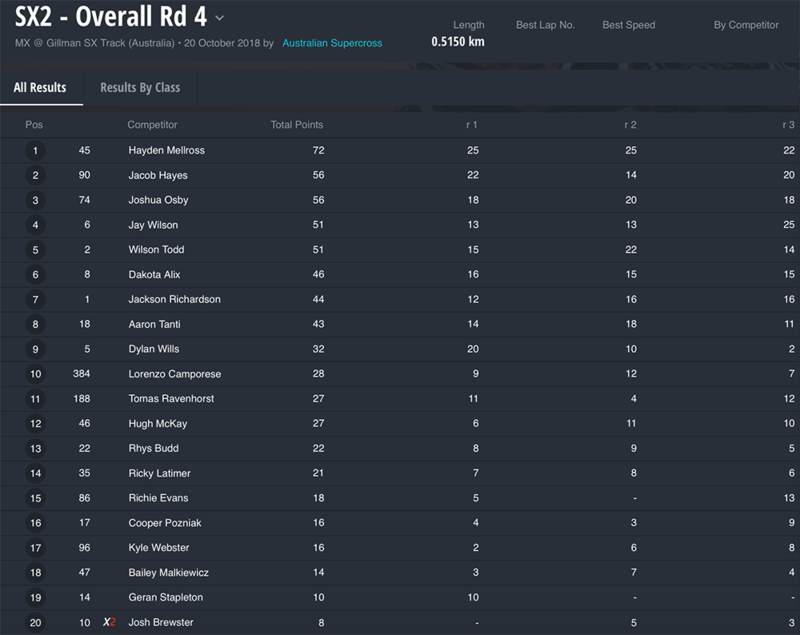 Port Adelaide hosted the second Triple Crown (three main events) event of the series and saw Metcalfe claim the SX1 overall ahead of Pentrite Honda teammate Brayton and Jace Owen. Luke Clout won the first main event but was penalized three positions for jumping under yellows, according to MotoOnline.com.au. The penalty gave Brayton the first main event win. 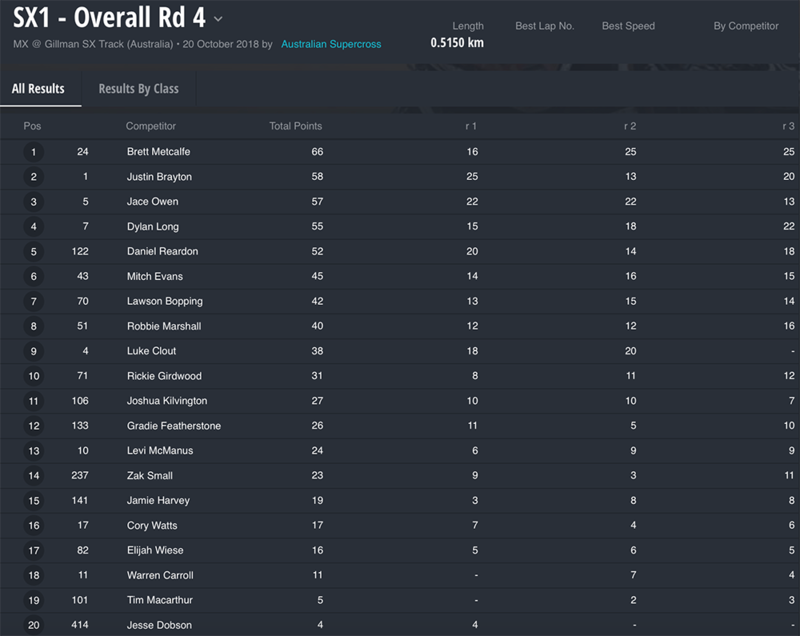 Metcalfe would go on to win the second and third main events to secure the overall. In SX2, American-based Australian Hayden Mellross captured his first overall of the season after winning the first two main events and finishing second in race three. Americans Jacob Hayes and Josh Osby would round out the podium. The 2018 Australian Supercross Championship will conclude with the Monster Energy AUS-X Open Sydney at Qudos Bank Arena on November 9-10.